Rebecca Brand makes Baked Potatoes. This recipe uses Russet Potatoes, but any kind is fine. Super easy, delicious, the very basic of recipes. HASSELBACK POTATOES . A great video-recipe for Grill and Smoker. 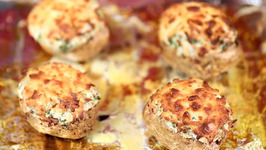 Come fall in love with these cheesy loaded 'Baked Spiral Potatoes'. 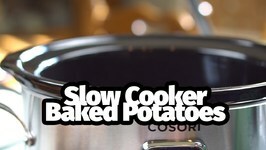 It is very easy to make baked potatoes in your slow cooker. You can make them and use your oven for something else. 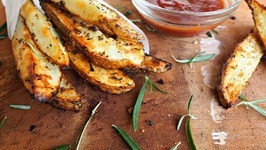 These baked fries are not only healthier for you than fried ones, but they're also tastier and easy to make! They're the perfect week night side dish to go with anything. 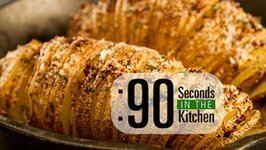 We have baked potatoes and fried potatoes, but have you ever heard of the hasselback potato? The way you cut a potato can change the starchy spud into a delicious masterpiece. Here is episode 4 of the "Game On" series. This is a menu item from the Minute Made Park for the Houston Astros and it's easy to make and perfect for your tailgating ..
Creamy Potato Bake is a classic side dish. 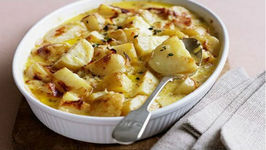 Tender pieces of potato served in a delicious savoury cream sauce, with onions, ham and melted cheese. 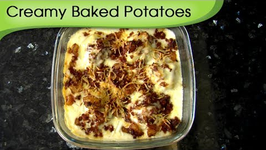 Party Potato Bake is the perfect side dish for any party or barbecue. Sliced potato is combined with bacon, onions and cheese. 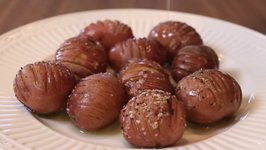 You can prepare these roli poly potatoes with mini potatoes. 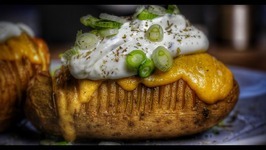 These are a fun potato recipe to make. These need very few ingredients in them. 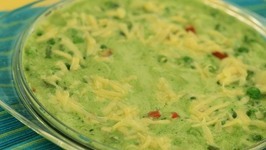 Here is a great side dish for any grilling adventure! 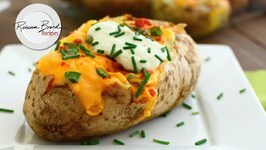 Backyard, family dinner or camping this easy and delicious Loaded Dutch oven Potato recipe from Klondike Brands will .. Potatoes are an excellent food choice in you first trimester and even the pre-pregnancy period when you need to stock up on folic acid and iron. 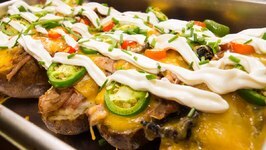 Do you want to make a twice baked potato? 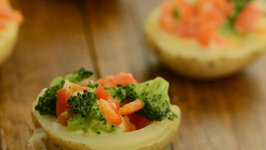 This is a very simple recipe for twice baked potatoes. Potatoes are baked, then seasoned, and put back in the oven for some browning. 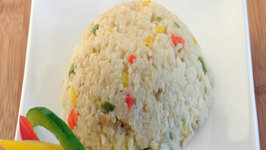 Vegetable risotto is a very easy and a delicious recipe. . . Actual risotto is made using arboria rice but you can also use basmati rice, it taste the same. 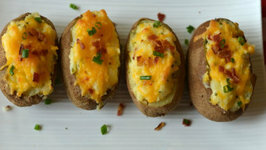 . .
Twice baked potatoes are easy to make, and quite frankly add a little something extra to a meal. 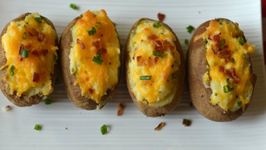 This fancy looking potato has all of the benefits of a baked potato, but .. This baked vegetable is so easy to make. The addition of spinach makes this baked dish even more delicious and it tastes great when served with garlic bread. 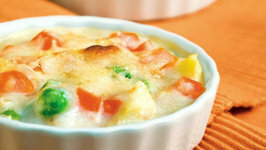 A healthy version of vegetable au gratin. The veggies are cooked in a creamy sauce in which the creamy texture is retained by the use of low calorie white sauce made with .. 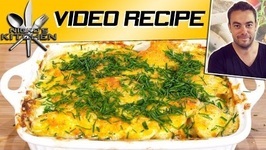 In this video, Betty demonstrates how to make Sour Cream and Chives Holiday Potato Casserole. 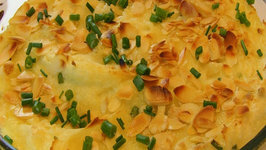 This baked side dish will complement any holiday menu! 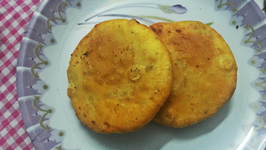 Indias popular snack which you can find in every restaurant or on a roadside stall. A comfort food at its best, crisp exterior with a spicy potato stuffing. 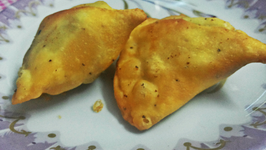 This is Indias most loved snack, which is spicy, crispy and delicious. You can pack these for lunch or any outing. 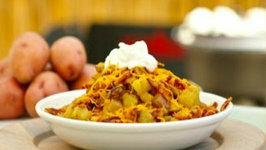 In this video, Betty demonstrates how to make Loaded Paradise BLT Home Fries. 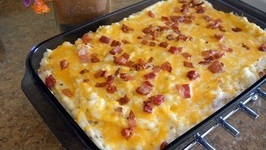 This recipe is based on the Loaded Home Fries that Rick and I sampled during our recent ..